Please attend the annual membership meeting at 2:00 pm. 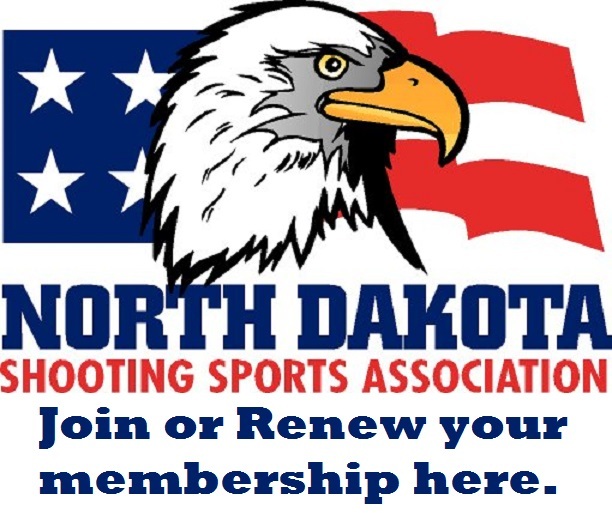 Topics of discussion will include our junior shooting sports programs and other shooting sports programs around North Dakota and the USA. The Knights of Columbus is located at 2601 North Broadway, Minot, ND. Rooms: Comfort Inn at 3420 South Broadway in Minot, ND has a small block of rooms available for NDSSA Banquet attendants. The rate is $59 for one person and $69 for two people. They do offer free hot breakfast, indoor pool with waterslides, fitness center and they are pet friendly. Call 701-838-5200 for reservation and tell them that you are attending the NDSSA Banquet. Comfort Inn will hold theses rooms until January 17th, 2019. Katie Zaun (Buffalo, ND) started in the shooting sports at the age of 9. She continues to excel at the International style air and smallbore rifle shooting sports disciplines for many years. Katie has set numerous State and National records – both Junior and Adult records. She has placed first in the J3 age group at the Junior Olympic National Championships for smallbore and air rifle. She has competed at Local, State and National events and has won at State and National events. She just recently competed and took home Bronze at the 52nd Annual ISSF World Shooting Championships in Changwon, South Korea in the prone smallbore rifle team event at the age of 15. Robert Paris was involved in the North Dakota and Minnesota Shooting Sports since before 1940’s, and a life member of the NRA since about 1944. Through a lot of hard work and dedication Bob promoted the popular light rifle, smallbore and high power rifle silhouette, as well as handgun silhouette shooting sports disciplines in North Dakota. Some have even called him “Mr. Silhouette of North Dakota”. Bob was passionate about the shooting sports and helping newcomers to not only enjoy the sport but also excel at it. Any assistance that a shooter might need Bob was willing to help them with - needed to borrow a gun, not a problem Bob had one - needed ammo, there again Bob would share some. Needed some help on your trigger pull, stance, or how to hold the rifle better, Bob knew it and offered sound advice. Bob competed very regularly and placed well in many competitions clear into his late 80’s.